My tactic revolved around a quote from Bruce Lee which said that he feared not the man who practiced 10,000 kicks, but rather one kick 10,000 times. Come to think of it, it has been a while since I picked up a quote dictionary. I blame quote infographics on Facebook. Unrelated fact: when I was in high school I had this “quote of the day” feature in my creative writing classes, which I recall shamelessly having ripped off my peers at previous institutions. When I was in Paris, I remember that one of my sibling travel companions kept on saying the phrase “les hommes d’équipage” (the ship crew) aloud in a dramatic voice at vaguely regular intervals (there was no occasion that called for the recitation whatsoever). It apparently had some unclear connection to a poem about an Albatross that escapes me. I had heard “les hommes d’équipage” about seven times a day on average, and interestingly said travel companion had a very convincing accent indeed, without even trying, after a significant amount of recitations of the phrase. True story: sometimes I catch myself saying the phrase out loud, too. Even now! Now during the few weeks between Paris and New York, in which I found myself in my parent’s place alongside all of my siblings (first time in a long time), the habit rubbed off on me too. When in very, very casual conversations with my family members, I would throw in a phrase with virtually no context and with a very non-American accent indeed. It probably was annoying to them as “les hommes d’équipage” was during my Paris venture, but I certainly managed to experiment with a different Greenlandic-sounding accent every single time, until I got one that stuck and made sense. And once I had that accent for the two words, I was capable of splicing the accent onto the rest of my speech in that language. I speak a number of languages but my accent strength in them is not equal. Because I haven’t had this accent training drill with a phrase in all of them. One thing I used to do with Danish was say the word “Hvad?” (what?) at points in conversations with my family members and some friends when the English “what?” was appropriate. 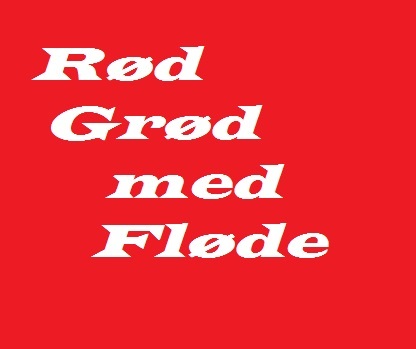 As a result, I practiced this word many, many times indeed, and even if my Danish accent or my ability to replicate the stød is not perfect, it certainly became a lot better. Identify a certain phrase or word in your target language that sticks with you. Make it a bit of an inside joke / exclamation / etc. and get in the habit of using it. If you don’t want to do it in public, then just feel free to use it when frustrated at your computer, etc. Let the word or phrase grow on you, and then one time, you’ll find yourself having said the word with an accent that sounds perfect. Now you have the accent. Try using it on other words in your target language, and possibly even in your native language / other languages to ensure that it sticks. It may not be utterly perfect and may require some refinement, but…voila! There you are. Two nights hence Rosh Hashana, the Jewish New Year, begins. It is a time for me, and all others of my faith (heritage?) to reflect and consider the year to come. This post will just be about my language acquisition/maintenance life, so don’t expect anything else besides. Especially when in the United States, I don’t feel insulted anymore when someone chooses to speak English with me over another language that I know. Earlier this year I used to take it as a personal insult to my skills if someone didn’t want to speak anything in English with me. Luckily, thanks largely to the polyglot bar, this has changed. Even with many of my friendships, I balance the various languages used to all degrees so that “everyone is happy”. Maybe it is living New York, but there are plenty of polyglots to go around. I heard more Danish spoken in the past few weeks than I ever had heard by pedestrians in Heidelberg in over a year. Even in Paris I encountered Danes, Swedes, Israelis, Finns, Germans, Dutch, Flemings, Brazilians, and too many more to list. I’m confident enough in my abilities now that I don’t take it as an insult. I used to be insecure, but after starting this blog and seeing my true potential in this American Metropolis, I don’t need to feel insecure anymore. …I expect that a year from now, I won’t even need to ask it or even consider it. I felt afraid of judgment from people who spoke certain languages. I was actually afraid of the day that I would meet a real live Dane because I was certain that my pronunciation would never be good enough. As it turns out, this past year I met both Danes and Danish learners from elsewhere in the world, and there wasn’t a hint of being judgmental from any of them. I may have encountered some degree of judgment, but literally never from any native speakers over the course of the past year. Before that, I might have, but that was a different Jared who definitely wasn’t as confident as he is now. I broke out of this almost near the very end of my stay in Heidelberg, although sometimes I used English in messages with bureaucrats because some of my friends, local and otherwise, told me that would be a good idea. But even then, the fact that I did that doesn’t say anything about the skills I may or may not have. Those are the three major problems I had over the course of the past. I can say that, while some shred of these problems exists, I have sent them on their way. Stop worrying about what other people think is possible. I worry that if my multilingual adventures reach a certain level, then people will cast doubt on my ability to have learned anything (although you are more than welcome to go ahead and test me in the comments). With my current collection of languages, I’ve encountered people wondering “HOW THE HECK DO YOU DO THAT?!! ?” and assume that I’m some variety of superhuman genius. Here’s the thing: I may forget a handful of my languages that I have now, but I’m not stopping learning new ones, certainly not now. As we say in Greenland, sussat! It doesn’t matter to me. How did I learn Greenlandic, people ask me? Simple: I had a desire. I acted on it. The act of learning Greenlandic (or any language) is never complete. There may be a finite amount of words in the language (billions of them, actually), and, on a more realistic note for a human to learn, there are a finite amount of word pieces in the language (Oqaasileriffik lists 20162, to be precise). I have plenty of other desires to act on as well. I don’t want my life to be complete without learning a bunch of other languages, most of which I haven’t even listed on my list in the “flirting” category (a reference to the aforementioned “How to Learn Any Language” forum). Again, I didn’t care what people thought when I was learning stuff like Faroese or Greenlandic or Northern Sami. Now that I feel that I might have a bit “too much on my plate”, even with closely related languages, I’m beginning to rethink the “there’s always room for one more”. But you know what? Sussat! There IS always room for one more! And even if one has to go for whatever reason, my passive understanding of it isn’t gone. Only earlier today was I watching an episode of Pokémon in Polish and I understood a lot more than I knew I had active control over (and my active control of Polish may be enough to impress my Polish friends, but I deem it quite pathetic, especially in comparison to the languages I know well). The same occurred for the songs in my Russian music collection. Now, I could convert that passive understanding to an active one just by virtue of switching my media input. I don’t need to relearn the grammar. I can recognize the parts of speech on sight or just by hearing the words. But even if I have to forget some languages, I can rest assured that my passive understanding will remain strong, even through years of disuse, provided I gave it enough nurturing. In Conclusion: right now I am living the polyglot life that I’ve been dreaming of since I was a kid. It will only get better from here. Even with my best languages (English included!) there is a lot more for me to always learn, but I have to savor the fact that I’ve come a long way, one with discouragement, despair, and doubt. But the journey doesn’t end. The journey will continue, until the end of 5774 and well beyond it! Next up is a language with two flavors, Portuguese. I cannot lie, I really like European Portuguese and I am quite passionate about it (although not as passionate as I am about many other languages). In fact, I say this with a hint of guilt, I like it a LOT more than I do Brazilian Portuguese, despite the fact that it could be said (as a friend of mine has) that “European Portuguese isn’t a separate language. It’s only a really annoying accent”. I may be tempted to “throw television at the problem” in order to make it go away, especially for European Portuguese which is less commonly studied. At present I’ve been watching something in EU Portuguese on average of once every week, as opposed to my Duolingo studies in “Brasileiro”, which I try to make daily. Brazil: Complete the Duolingo tree (and the end is within sight). The problem: sometimes it really feels like a chore for me and my hand hurts from typing. The three-heart system can also be particularly stressful—probably the most stressful “game-like” experience I’ve had is with Duolingo. Portugal: Once I complete the tree, I’ll use Portuguese media to measure my progress. That will be another diagnosis, but if European Portuguese really isn’t much more than a “really annoying accent”, then this spells wonderful things for me, despite of some cries of “two separate languages”. The pronunciation of both is definitely not a problem for me anymore. Not only that, but I can switch between them with minimal effort. I couldn’t do this when the year began. I really got lazy with Modern Hebrew and it really is all my fault. I got lazy with Spanish as well. Given how these were the languages which I had plugged the most time into earlier in my life (because of school), I really felt that, on some level, I had been “force fed” them. Because of this, it is difficult for me to feel “passionate” about them, and sometimes my conversational ability can range from good to troublesomely bad, depending on how I feel. How do I get that passion back? Well, for one, we’ll see what JTS’ Hebrew classes do to me in a few days. Hopefully I can put it together and get to convincing conversational ability between then and now. I can’t allow myself to become a victim of my “mood swings”. The same way that I learned the Scandinavian Languages with a lot of media immersion, I have to realize that I must do the same with the Romance Languages. It may be boring at times because I feel like I understand everything (when what I want is ACTIVE control of the language), but if I want to maintain this language that’s what I have to do. Portuguese by itself and expecting Spanish to remain in place just by virtue of the connection isn’t going to work. I can understand a good deal of television and even more of the written language. But what do I need to do for active control of the language that I can be proud of? I may need to turn to Memrise or even Duolingo’s Dutch course (even though my plate is very well full on both). Reading the Transparent Dutch blog certainly wouldn’t hurt, especially in regards to those past participles that I sometimes draw blanks on, not also to mention those odd situations which leave me wondering whether or not I should use German sentence structure in Dutch. Words cannot describe how proud I am about the fact that I can talk about myself and my hobbies in what is probably my favorite language at the moment. For those of you who have dealt with me personally over the course of the past few months, you may instantly know that I am talking about Greenlandic, an Inuit Language with Danish influence which has been described by many as notoriously difficult, possibly even the world’s hardest language. But I digress. I’m nowhere near that level, I don’t know if I would commit my Greenlandic studies to that degree, but the fact is that I have a very good firm basis in the prefixes, the suffixes, basic verbs, and what makes the language different from all of the other languages that I have studied. My weakness: the written language, and this may in part be due to the fact that Greenlandic isn’t supported by either Google Translate nor Facebook (although there is a Wikipedia in Greenlandic). I can’t go around translating songs quite yet, but I can get the gist of every article and song or TV episode that I see with no help from Danish or English. Something for me to be proud of! Also, if any of you know any Greenlandic Speakers in the New York Area, send ‘em my way. This series ain’t over yet! Tune in later on for Part 3! My Arctic August is going by very well, despite the fact that the environment where I am has not been conducive for immersion, or for making videos. Despite this difficult setup, I can now hold conversations in Greenlandic with fair frequency, but I feel that my reading ability isn’t where I want it to be. As for Northern Sami, the same situation is to be found, but slightly in favor of reading and less so of speaking. I confess to having an inability to focus on one project at a time. Therefore, in addition to Northern Sami I was rehearsing its siblings as well. By “siblings” I mean Finnish and Estonian. One thing that really helped me with the Scandinavian Languages were the fact that I used my inability focus on one language at a time to my advantage, and improved the lot of them together, although it took a good degree of mental gymnastics to do so. I decided to do the same with the trio of Finnish, Northern Sami, and Estonian, which are more distantly related than Swedish, Danish, and Norwegian are. Unfortunately, because I got really lazy, my Hebrew skills have been taking a toll, and while my understanding remains sharp I feel that my conversational abilities have plummeted. My new list reflects that, but luckily next week—my new graduate program begins! JTS’ Hebrew programs will definitely help me in that regard. For French: despite my trip to Paris, I find myself a bit challenged. As someone who has a deep rebellious side, I find it difficult to have “chemistry” with a very commonly studied language. But Duolingo isn’t going away and I will put in some nominal effort until I start to reap results. 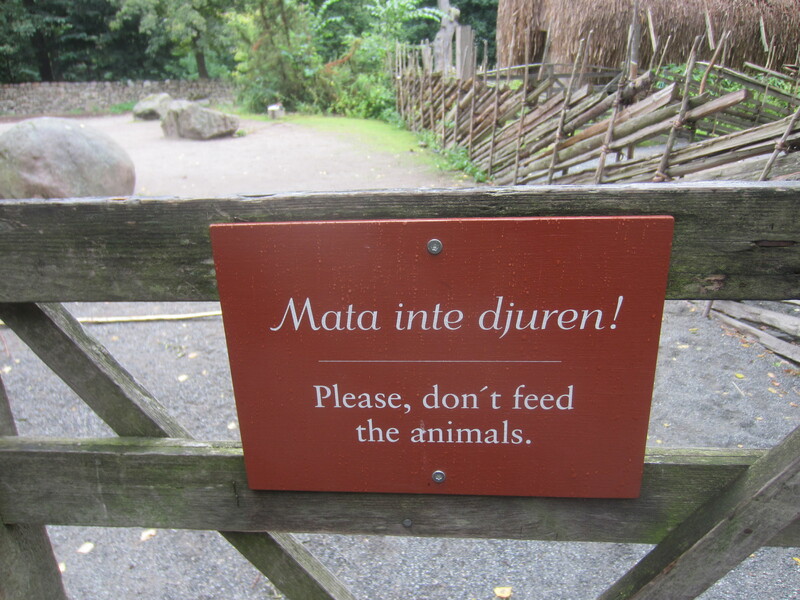 The understudied Faroese Language, on the other hand, is going by very well! I found the most perfect course on Memrise imaginable for me, and thanks to my new phone purchase, I have been attending to my obsessions whenever I find myself needing to wait for something. It has taught me a LOT about the more modern Scandinavian Languages (who knew that “ingen” [no one, none] and “ej” [none] were related via Old Norse?). The pronunciation, like that of Danish and French, I had been learning by means of hearing words and putting the rules together. When the Inuit difficulties of Greenlandic made me want to throw my phrasebook across the other end of the room, or close my browser window in frustration, I would often turn to Faroese for something easier. The vocabulary doesn’t pose a problem as virtually everything is a compound word or a piece of one, and it really helps enforce my other Scandinavian vocabularies (and teach me more than a few new words in the process). Getting a Faroese accent is a bit difficult, but I think I may need to dabble in an Icelandic one to fully realize the difference and make it more distinctly “Faroese”. Now, I realized at one point that I may need to drop some of my languages just because I may not realistically have time to practice them all. 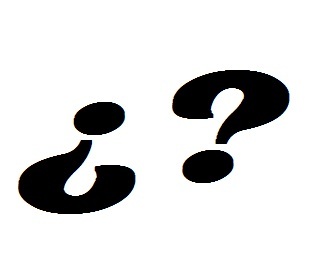 I did find a way around it, however, and I’ll explain it when I reveal my new language dabbling. • This language is the official language of a country, but not the only language with this status. • Judging from the FSI’s standards, this would be very easy for an English speaker to learn (although I do have problems using “hard” and “easy” to describe language projects or languages in general). • The language is very closely related to some of the most popularly studied languages. • The language’s name sounds very close to an adjective used to describe its classification. Next week I move to New York, and I really hope to improve and maintain my various projects by means of its countless inhabitants!